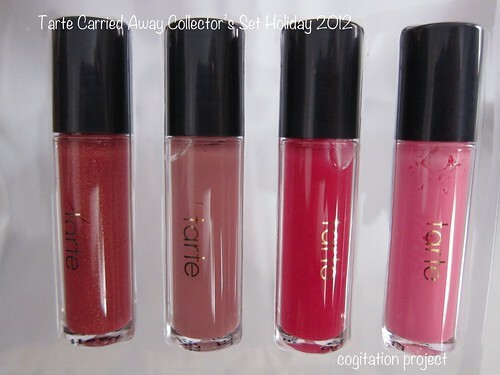 Carried Away with Tarte | Tarte Holiday 2012 swatches and pics – pic heavy!!! 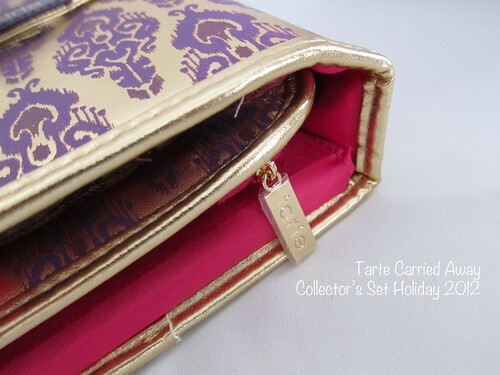 The Carried Away with Tarte Collector’s Set for Holiday 2012 was the perfect introduction into the brand for me. 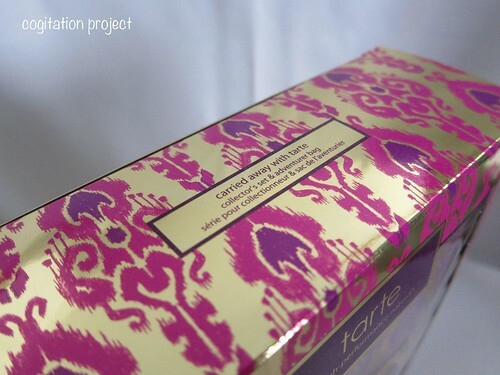 It has products that reflects what Tarte is all about. 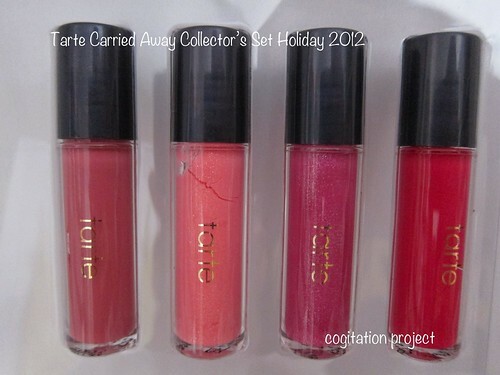 Not only is this set perfect for the beauty enthusiast but it’s also the perfect gift to that someone looking for their first makeup set, looking for a travel set or looking for an intro into the brand. 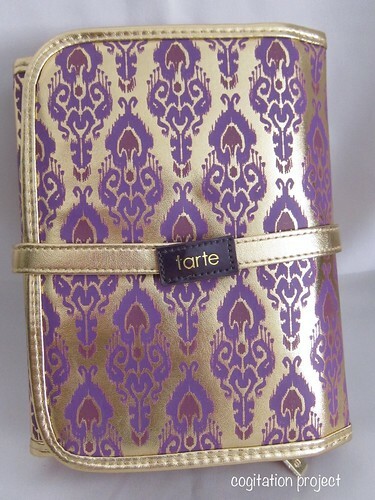 A striking collection of tarte favorites for eyes, lips, and cheeks in a glimmering, gold bag. 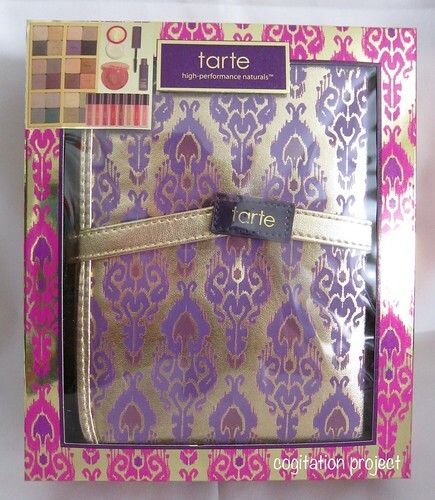 Travel beautifully with this impressive collection of Tarte essentials. 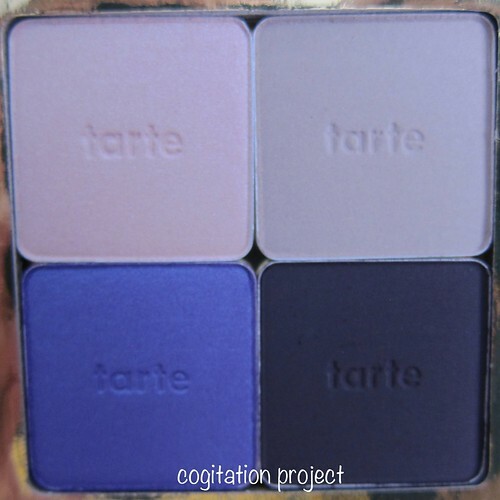 The all-inclusive set features six eye shadow quads for a show-stopping palette of bold, high-payoff shades in both shimmering and matte formulas. The deluxe maracuja glosses will perk up any pout with a mix of neutral and stunning shades, ranging from pale petal pink to deep crimson. 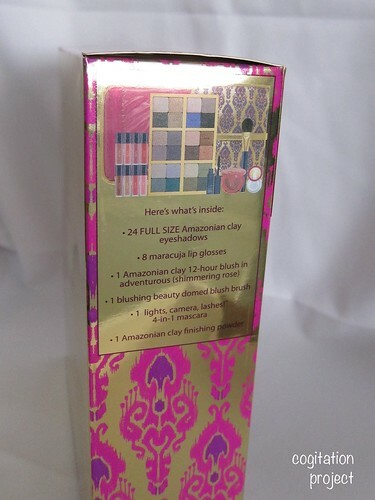 The kit also includes an Amazonian clay 12-hour blush and complementary domed brush to brighten complexions, finishing powder to balance skin, and dramatic mascara for voluptuous, attention-getting lashes. 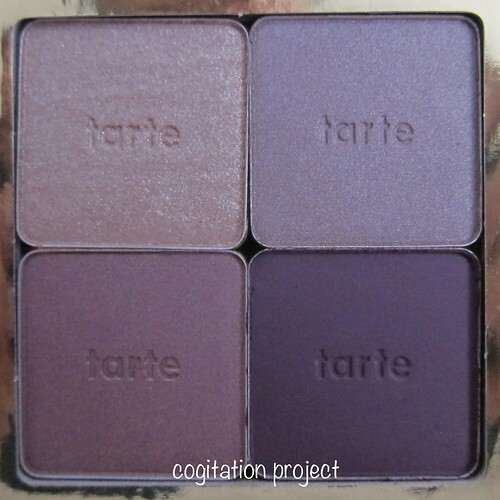 Each purely pigmented shadow is named after a place on the map where members of the Tarte team have traveled. 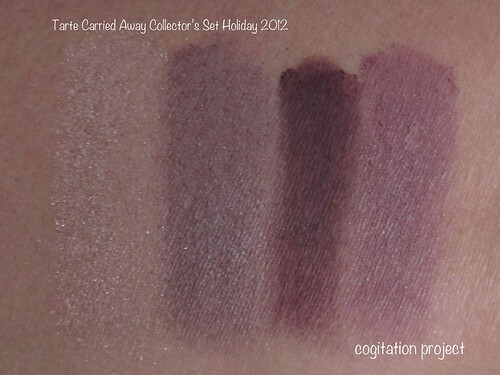 I think it’s brilliant to have named each of the shadows that way. And it matches the color as well. So for $54 you are really getting a lot of product here. 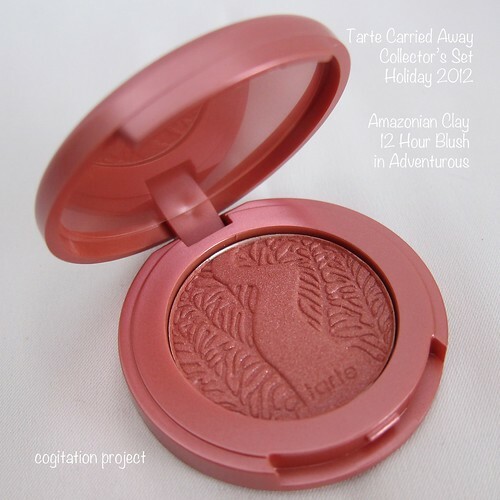 My favorite product in this set has to be the blush, the Amazonian Clay 12 Hour Blush in Adventurous. 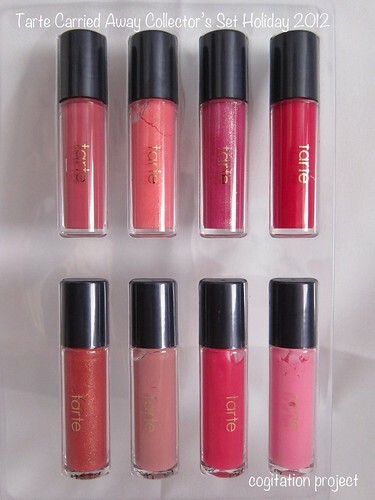 Because of that, I fell in love with the line of blushes. 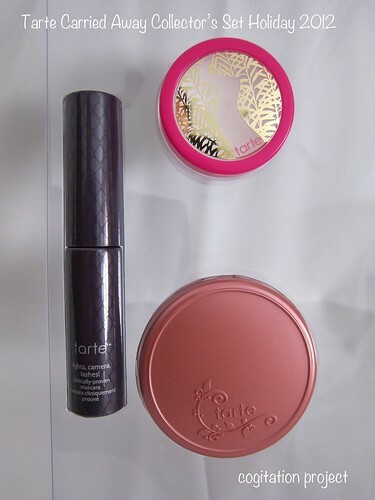 I have bought 3 more blushes since then. You can build then up or sheer them out depending on your preference. 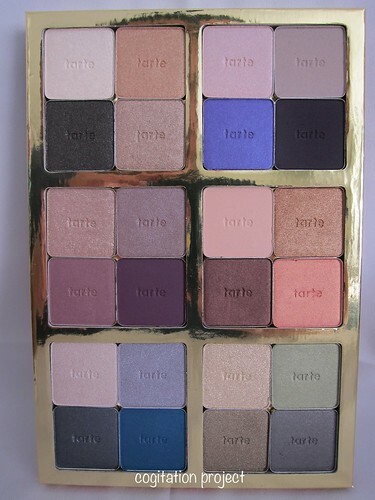 And my next favorite would have to be the eyeshadow palette. 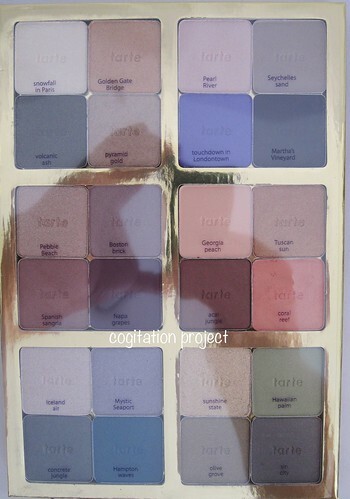 You have all the colors you could possibly need in this palette. When traveling, you can take it with you by itself or the whole set. I love that the colors have been grouped according to which shades works best with but that’s not to stop anybody from mixing and matching. And the travel portfolio? What’s not to love? It houses all of the items in this set plus more. 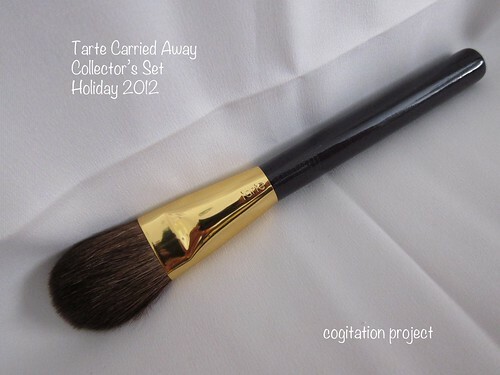 And the brush that’s included is actually a good one. I’ve been using it everyday for the past 3 weeks and I have yet to see it shed. 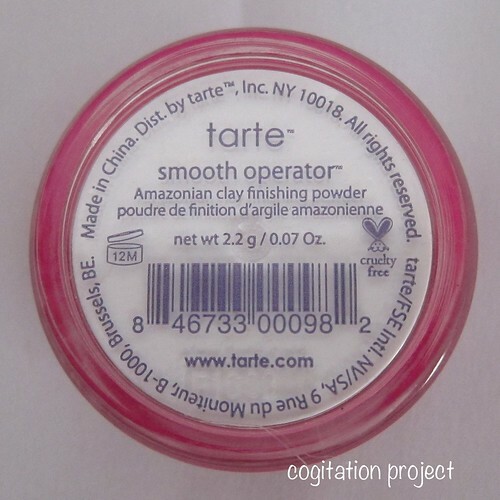 It does a good job of depositing product and blending it. 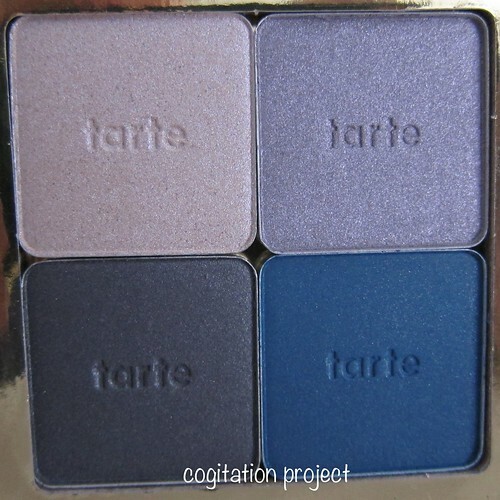 I would definitely recommend this set to anybody whether you’re looking for an introduction into the brand or you’re looking for a gift, this is perfect. 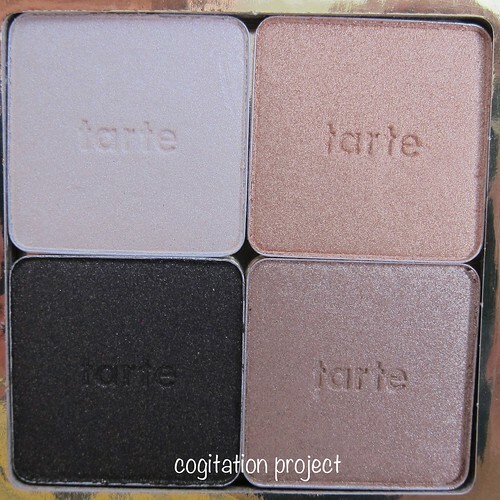 I got mine at Sephora for $54. I just bought this about 2 weeks ago and I’m in love! 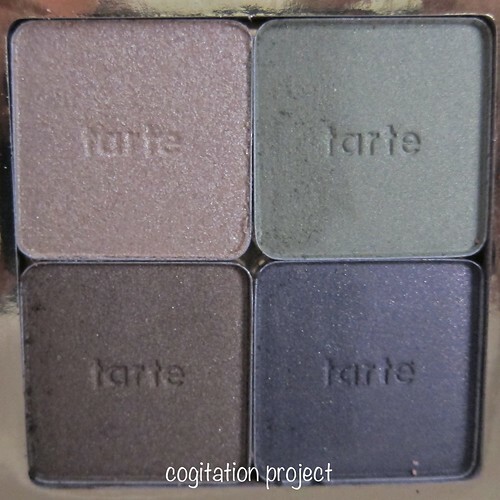 I feel like this is the perfect travel-friendly eyeshadow palette – so thin and contains all the colors I would ever need while traveling. 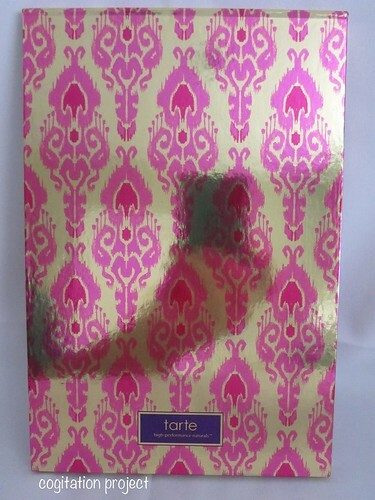 I’ve never owned any Tarte before and this is a really nice introduction. I feel like the blush looks a bit ruddy on me but the mascara is to die for! 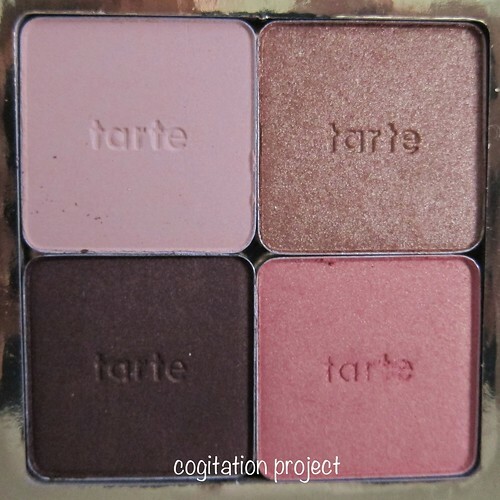 I absolutely love the blush. 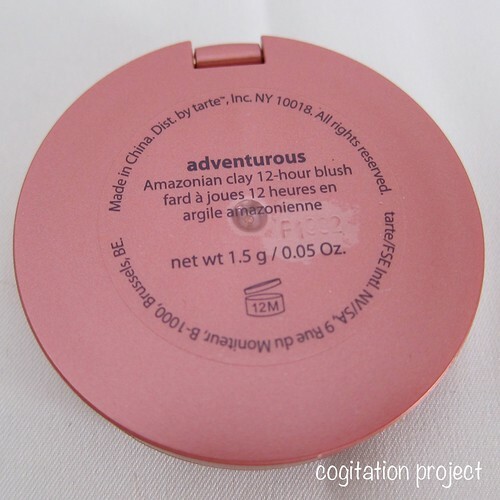 I’m about NC 30-35 and it is the perfect blush color. I dropped mine and it broke in a million pieces. 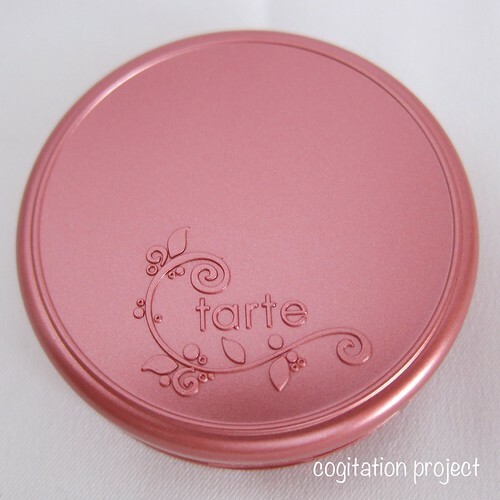 I couldn’t pick it up and “doctor” it because of bacteria issues and I was so heartbroken, so much so that I bought another one just for the blush and I will just gift it with a different blush. I haven’t tried the mascara yet but I will try it next. 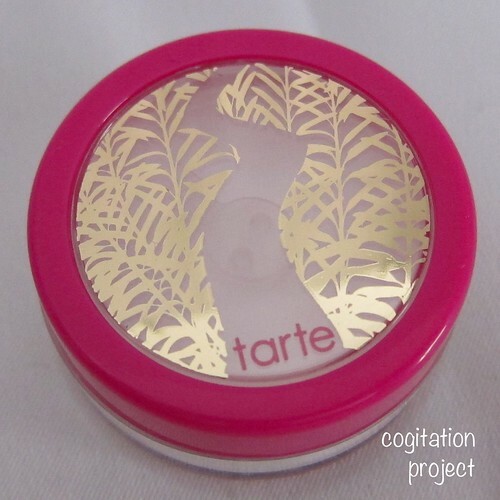 Oh man, I’m on a makeup ban right now, but I hope there are still some available next month. This set looks lovely. It is really a great set. Thanks for dropping by! Oh my God, what an exciting set! My stash is probably a bit too big for me to “need” this, but I think it’ll make a great present!